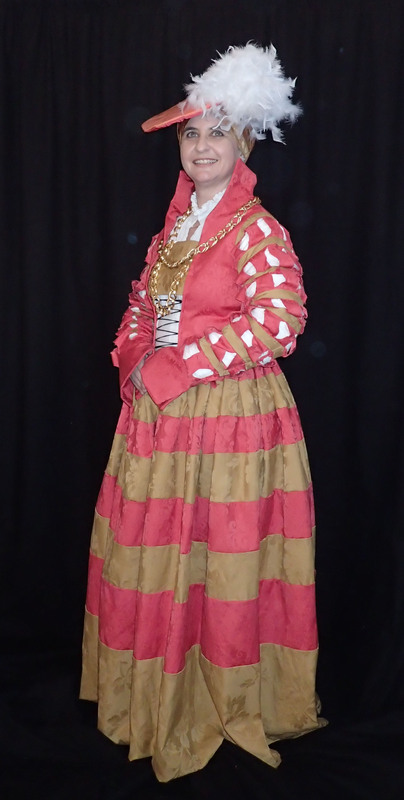 This Baroness Esperanza wearing a Cranach Princess dress that I made. The photo was taken at 5:30 in the evening when the outside light was low. The inside lights were on. There was one above the backdrop and one behind me as well as ambient light from outside. I pulled the curtains open.